A witness to the coronation of Charles II, the Great Plague of 1665, and the Great Fire of 1666, Pepys chronicled the events of his day. His diary provides an astonishingly frank and diverting account of political intrigues, naval, church, and cultural affairs, as well as a quotidian journal of daily life in London during the Restoration. If you could sum up Passages from the Diary of Samuel Pepys in three words, what would they be? What was one of the most memorable moments of Passages from the Diary of Samuel Pepys? When Samuel decided to bury his wine and parmesan cheese in his backyard to save them from the Great London Fire of 1666. What about Fred Williams’s performance did you like? This is not a usual reading, but the passages of a diary. Mr. Wlliams's voice is very suited to it, to my ear. 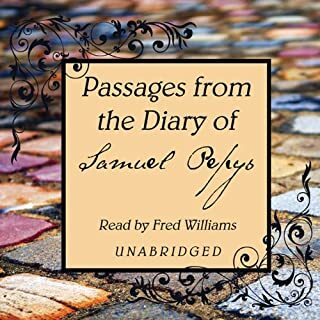 I can't think of anyone else who who be the voice of Samuel Pepys after listening to this book. I was moved when, after he made his young wife take back some earrings she had bought, he sent for them saying, "It was enough that she had yielded." Just like any other period piece, it is always well worth brushing up on your history before, during and after the book. This book is especially worth the effort. 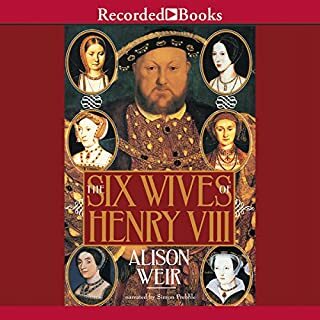 Best treatment of Henry's wives that I have ever, ever run across. The wives - all six. His authoritive, glorious British voice was able to convey a range of emotions without sounding patronizing. Very hard in this serious book. You know the king- now meet the women behind him.. 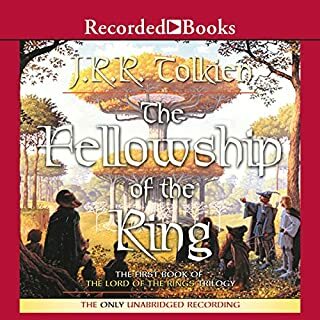 I've been listening to audible books for decades and this is absolutely my favorite. The way Tolkien would have read it. Rob Inglis did a wonderful job with a book that sports a mulitude of made-up languages. He even sings the songs! I have read the book before and knew the story; What made this a new pleasure was being about to listen to it as read by Rob Inglis. Rob Inglis's accent is perfect, perfect, perfect. I had the impression that he not only knew the book but enjoyed it as much as I did. Rob Inglis singing Tolkien's songs. Thanks Audible, and special thanks to Rob Inglis.